Because all services are differentiated by individual processes, brand equity, and features, there is no easy way to establish the “going rate” for comparable services. If you’re going to price your services simply based on the competition, you’d better ensure you’re making an exact apples-to-apples comparison, which is easier said than done. Consider instead, a model where your pricing is based on how much it truly costs you to perform one hour of service. 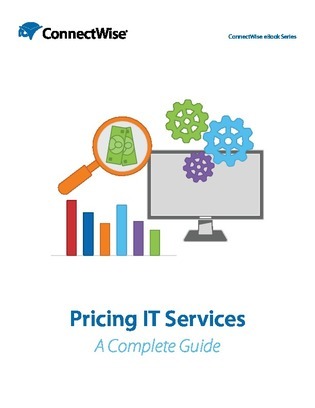 In this e-book, you’ll learn how to calculate your full hourly overhead in 3 steps–so you can set the right price for your IT services. View it here to get started.